Proposals to expand casino gambling in Connecticut cleared the Public Safety and Security Committee on Wednesday in votes signifying a consensus that the bills were too big to die in committee, not a measure of the support for opening the state to commercial casinos off tribal tribal lands. Verrengia said he saw no consensus for competing Senate and House bills or the third option of doing nothing. The Senate bill would grant exclusive expansion rights to the state’s two federally recognized tribes, the Mashantucket Pequot and Mohegan tribal nations. The House bill would create a competition in 2018. 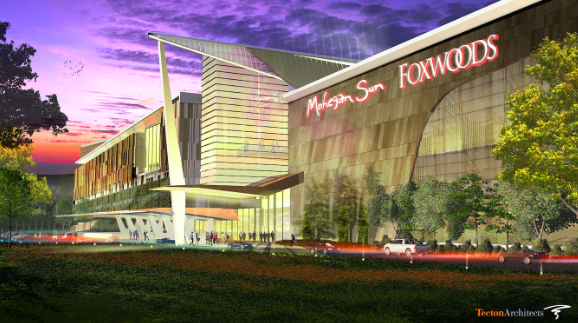 The tribes, owners of Foxwoods and Mohegan Sun, two of the world’s largest gambling resorts, want authorization to jointly develop a satellite casino in East Windsor to compete with the MGM Resorts International casino scheduled to open in Springfield in 2018. 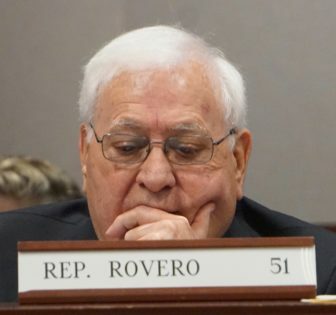 A House bill favored by Verrengia would create an open competitive process to seek requests for proposals to open casinos elsewhere in the state, a measure widely interpreted as testing the interest in establishing a major gambling resort in lower Fairfield County to tap into the New York City market. It passed, 21-4. MGM has fought the East Windsor bill, saying a no-bid process was illegal and left the state unable to strike the best deal for revenue sharing. It passed, 20-5. The tribes currently have an exclusivity deal in which they pay 25 percent of gross slots revenue so long as the state does not allow slots or table games off their tribal lands. An open question Wednesday was where the conversation about expanding casino gambling would continue in the General Assembly? The tribes’ revenue sharing with the state reached a high of $430 million in 2007, the year before the great recession, fell to $262 million last year and is projected to shrink further in the face of growing competition in Massachusetts, Rhode Island and New York. They say their proposal to jointly develop a casino at the site of a vacant Showcase Cinema off I-91 in East Windsor, not far from the state line and Springfield, is intended to blunt the loss of market share. On Monday, Attorney General George Jepsen delivered a formal opinion warning that allowing the tribes to jointly operate a casino off tribal lands would pose legal risks that “are not insubstantial” to the slots revenue annually shared with the state. Rep. Daniel S. Rovero, a no vote on both bills. The eight-page analysis offered little reassurance to lawmakers who backed away from casino expansion in 2015 after Jepsen’s office first flagged the risks and complications of allowing the Pequots and Mohegans to develop the state’s first commercial casino without an open-bid process. Rep. Daniel S. Rovero, D-Killingly, one of the committee members who opposed both bills, said Wednesday the attorney general’s opinion was sufficient reason to kill casino expansion without further debate or consideration by the full General Assembly. He called risking the current revenue sharing a bad gamble. MGM praised the committee for approving the competition bill, ignoring the East Windsor measure. Kevin Brown, the Mohegan tribal council chairman, said a competitive process in 2018 might yield nothing.